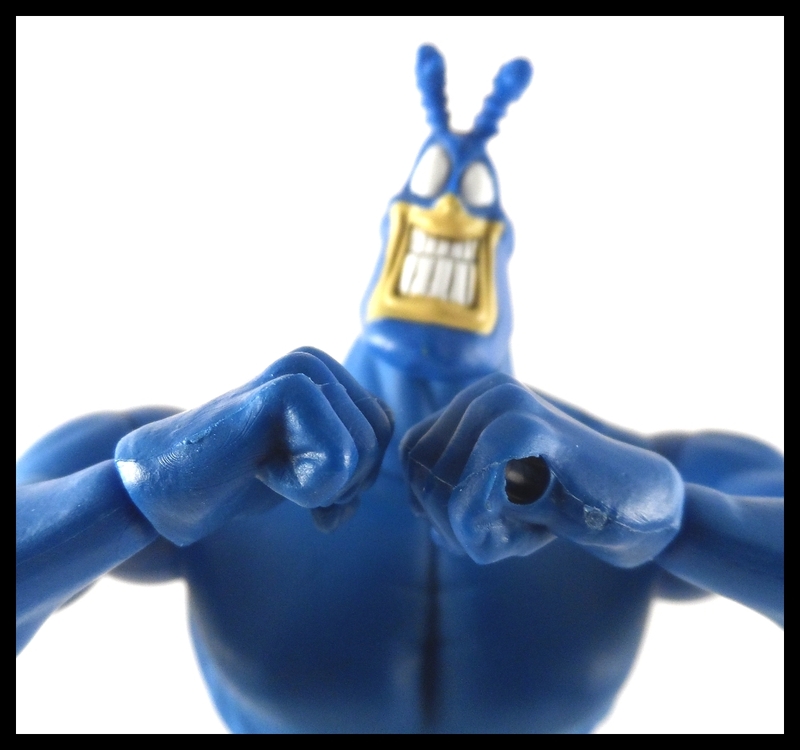 The second figure from Indie Spotlight Series 2 is the big blue hero himself, The Tick! Is he worthy of protecting the city or should he just get back on the bus? Read on to find out! 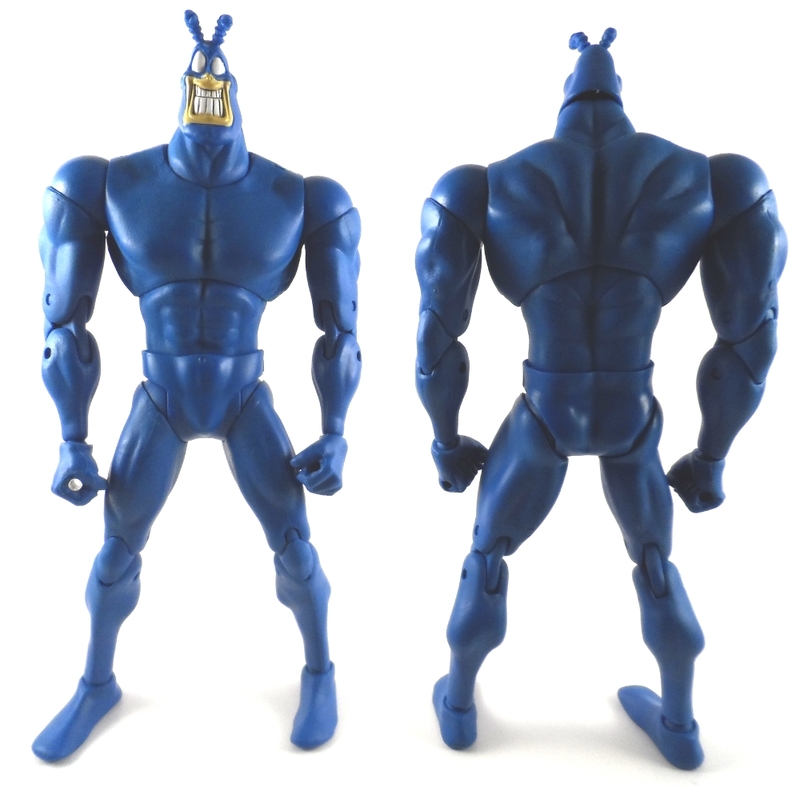 The Tick figure is big, blue and looks like he stepped off the comic page. In each Indie Spotlight series of figures, there’s one that is a larger figure. 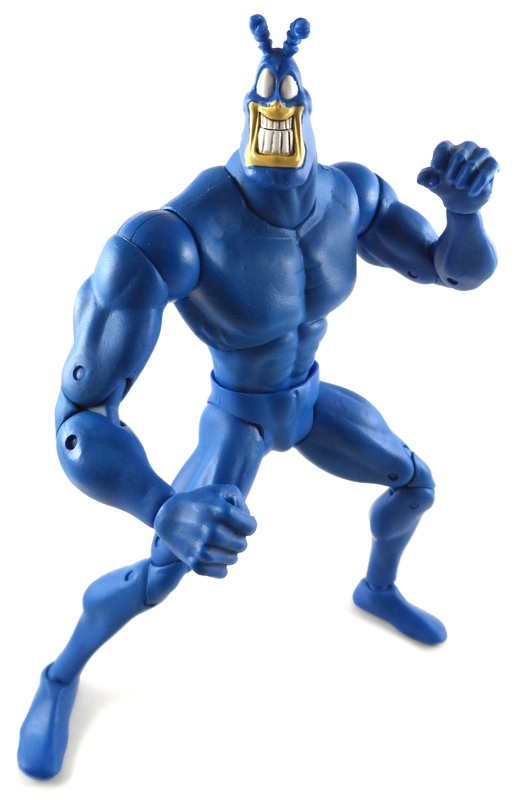 Series 1 had the Maxx and the Tick is the large figure of series 2. I really like the headsculpt on Tick. 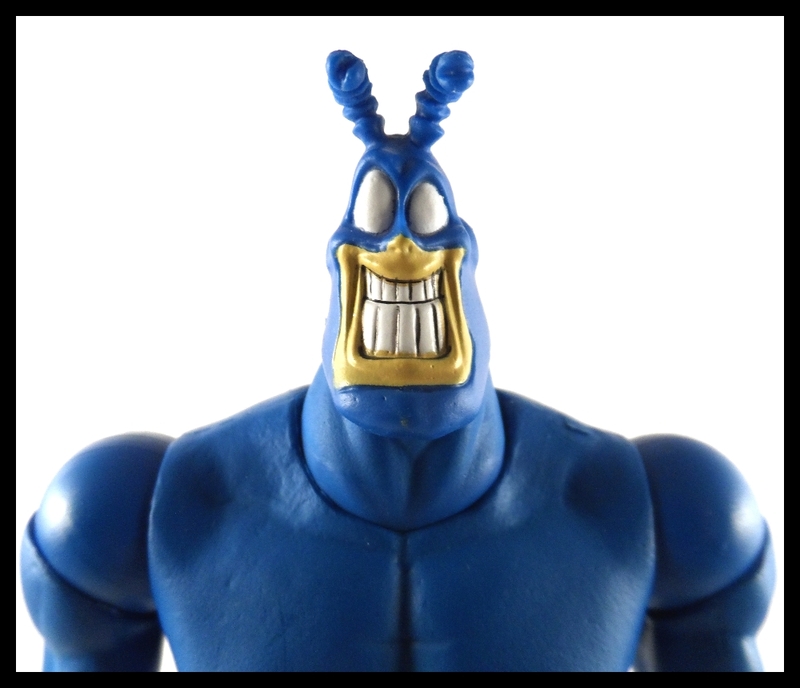 This face captures the essence of the Tick just perfectly, it makes me smile every time I look at it. 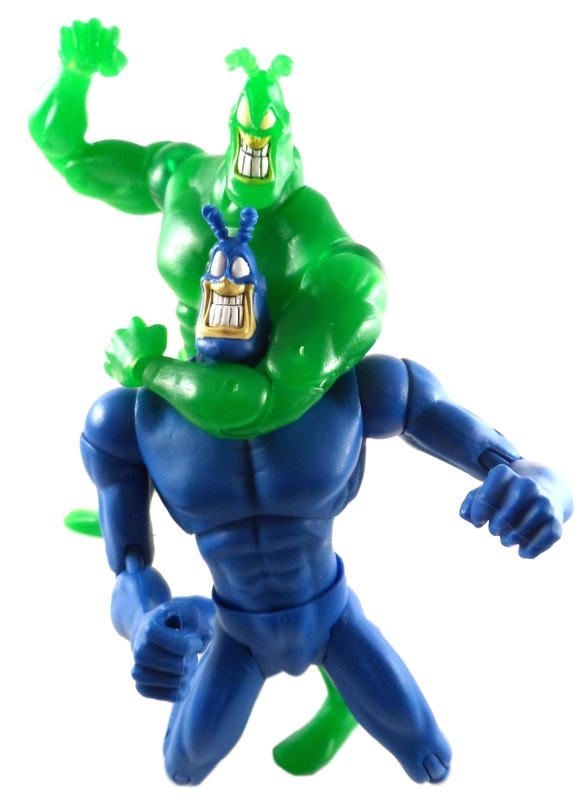 The Tick comes with two heads, a normal smiling head and an evil grinning head. The heads are attached by a double ball joint. 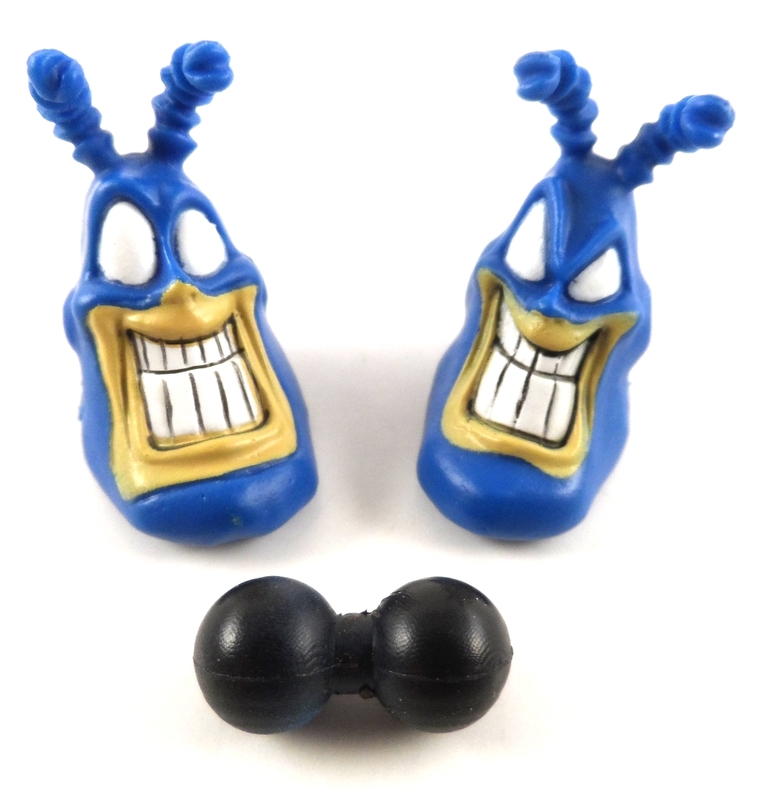 When Shocker Toys released the Mucus Tick figure using the same mold as this Tick figure, the spare head had it’s own ball joint piece. 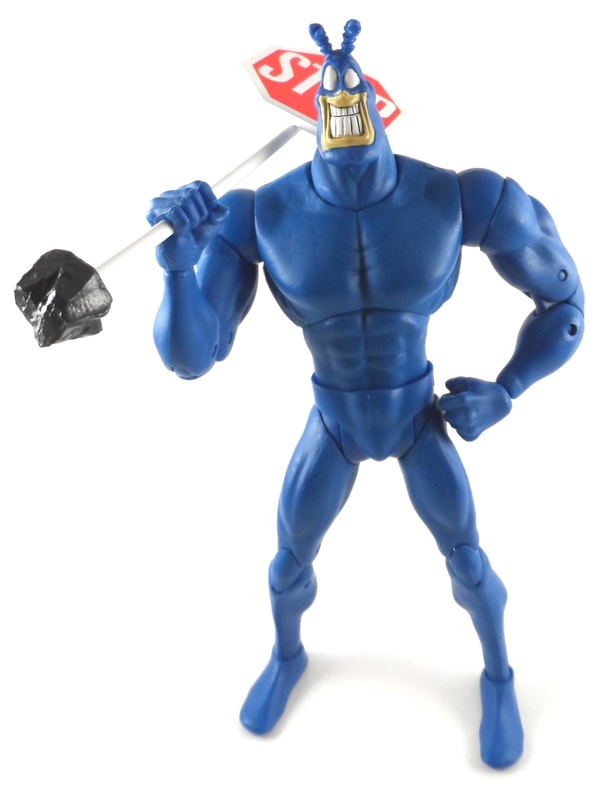 The Tick figure I got from GBJR Toys did not have a ball joint piece on the spare head. This made swapping the heads difficult as that small barbell piece is hard to take out of the head and usually stays stuck in the head when you pop it off of the body. I don’t know if this was just a missing piece with my figure or if all the GBJR Toys Ticks will only have one ball joint piece. One of my tests for action figures is to see if they can balance on one foot by themselves. 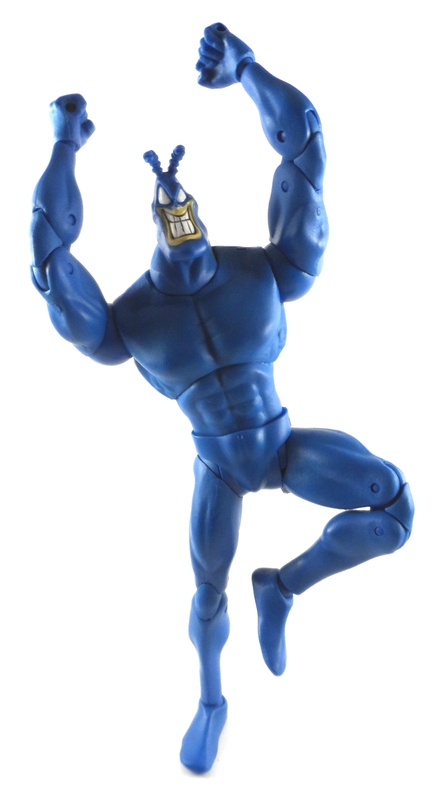 This feat is usually possible with multi-jointed figures and I’m happy to say the Tick figure can pull this pose off, but it did take a few minutes of minor adjustments to get the pose to work. 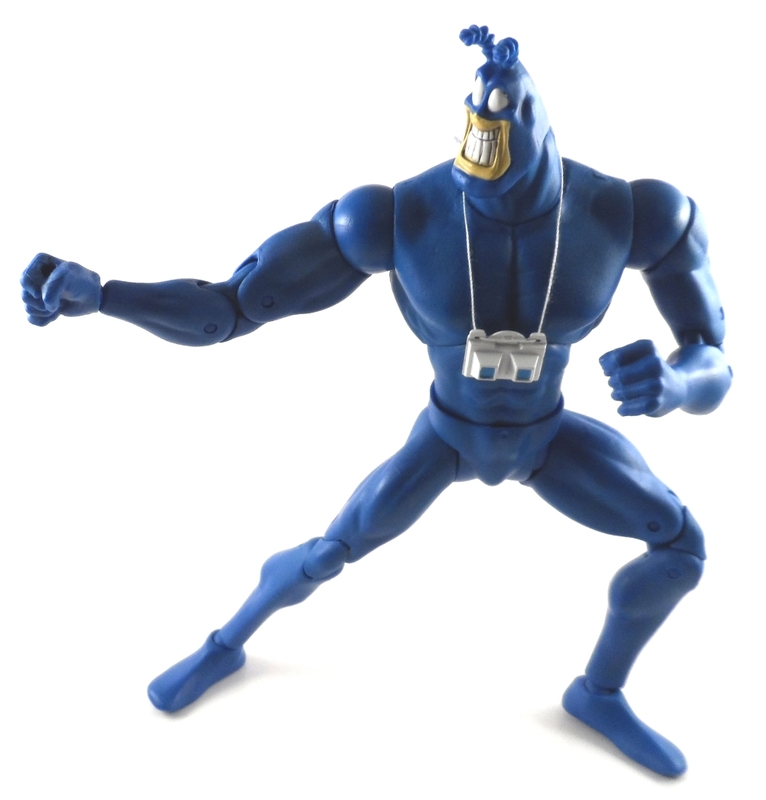 The Tick comes with two different sets of hands. Both are fists but one has holes in them for holding items. I really wish the fully closed fists were open hands. 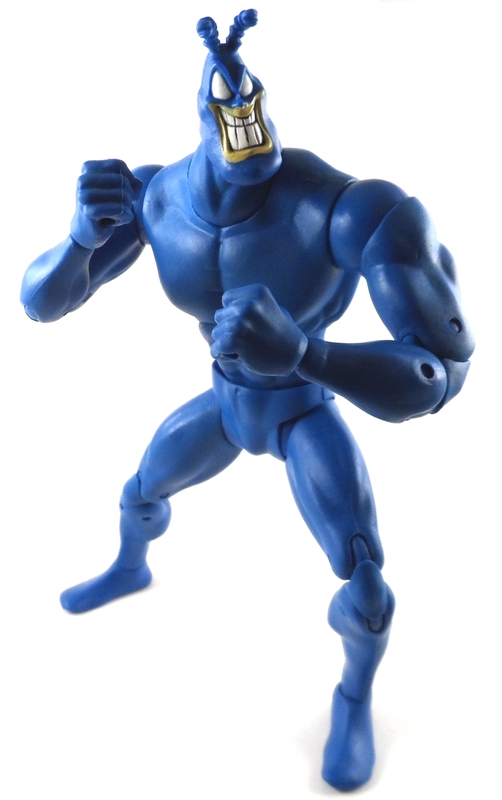 The two sets of fists feels like a wasted opportunity to give much more expression to the Tick figure. A pair of open hands would be perfect for slapping your chum’s back, gazing out over the majesty of the city or even just to wave hello. Look at the picture below and tell me you don’t wish Tick was waving an open hand rather than a fist. 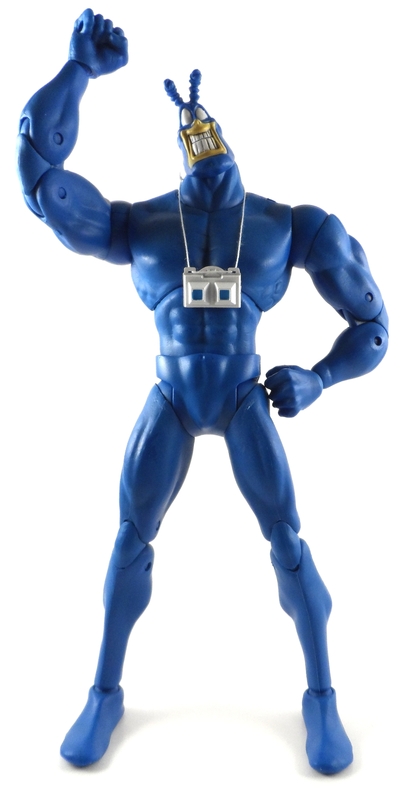 Also included with the Tick is his trusty Secret Crime Viewfinder Glasses and a Stop Sign. The Viewfinder is well sculpted on one side and looks just like it does in the comic. The other side is plainly flat unfortunately. There is a string that acts as the neck strap. The stop sign has a chunk of concrete at the end of the pole that can pop off so that you can slide the sign pole into the hands with holes. The fit is a little tight on the hands so I suggest taking the hands off and slowly twisting them around the pole to get them on and off easily. 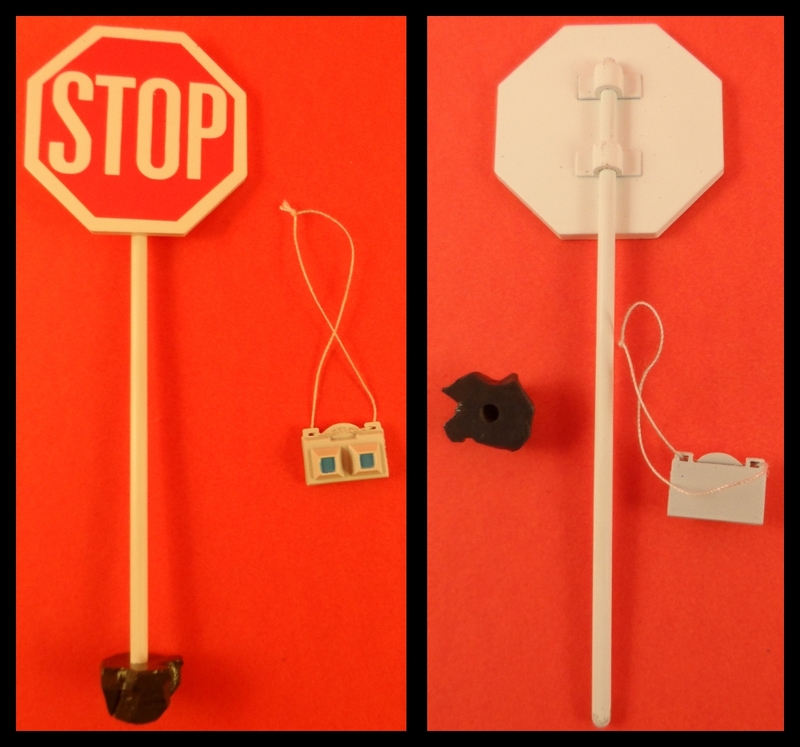 The stop sign is a great accessory for static poses or fight scenes. 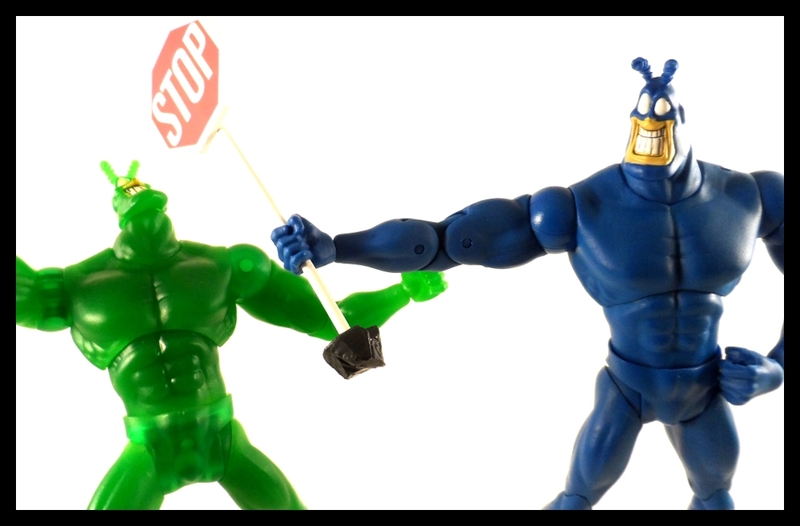 Like I mentioned before, the Tick figure is the large one of this series and you can really see it here. 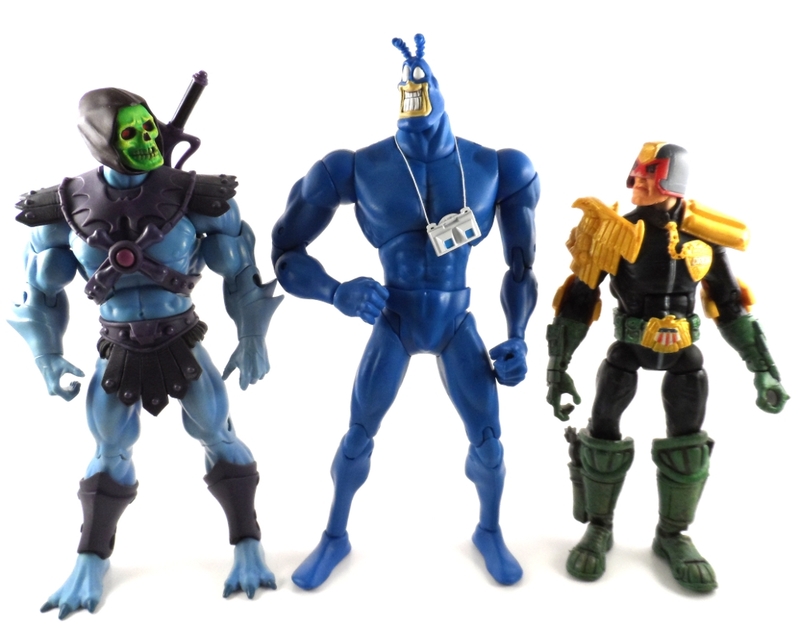 Tick towers over Judge Dredd and is about a half head taller than Skeletor. This is definitely an imposing figure. 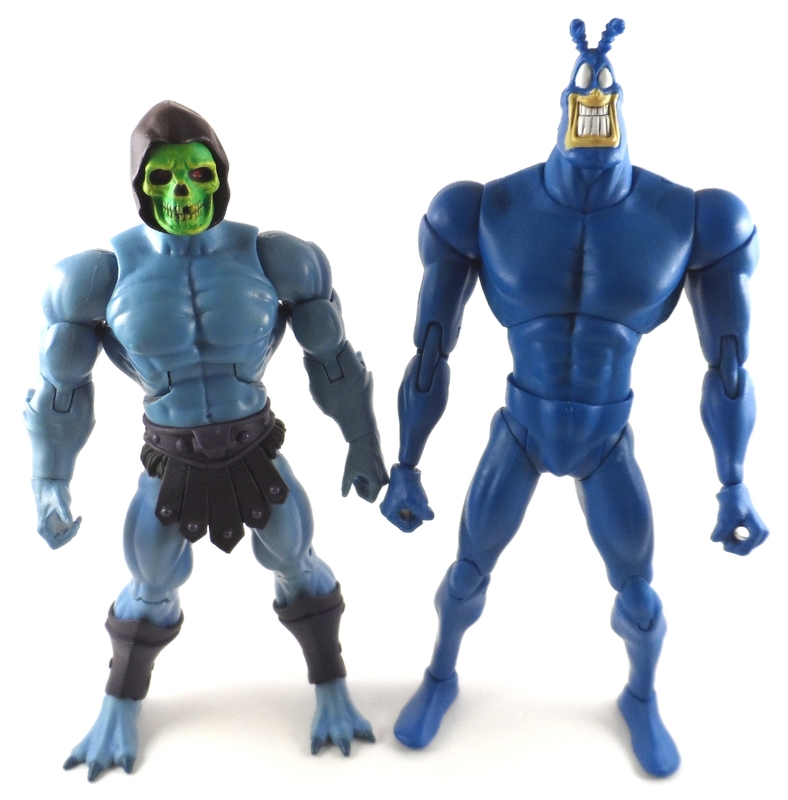 Comparing to Skeletor brings out a few of my minor gripes about Tick’s body sculpt. Overall the body feels a little flat. The arms and legs look a little thin from the front and the chest looks thin from the side. While Tick’s chest may not look as ripped as Skeletor’s, it is very close to how it looks in the comic (at least from the front) so I don’t have much of a problem with the muscles not popping like Skeletor. I just wish there was a little more mass all around on the figure. I feel the Maxx from series 1 accomplished this very well. 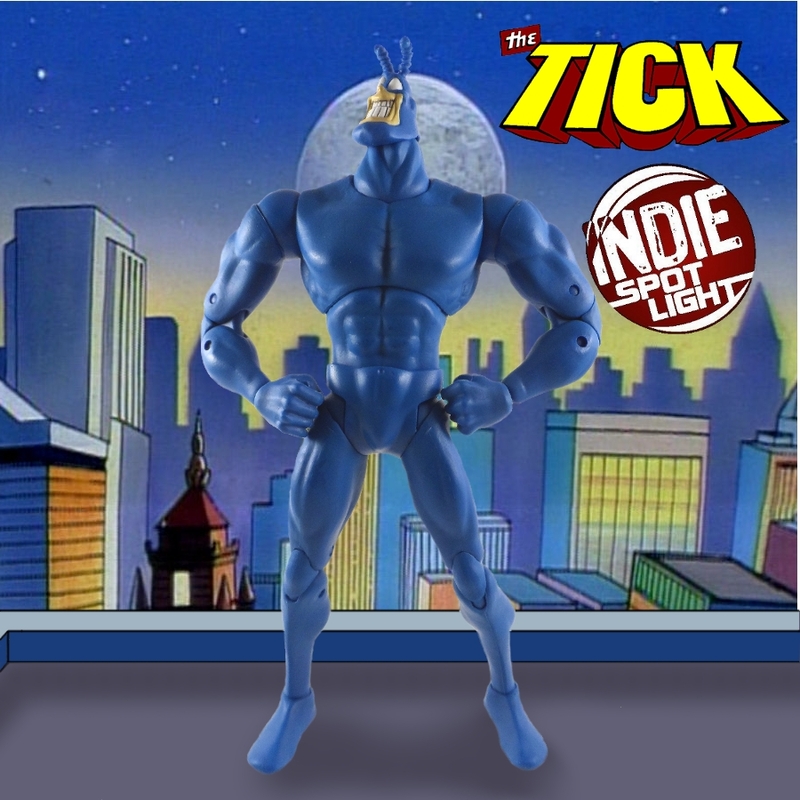 The Indie Spotlight Series 2 Tick figure is a very fun, poseable figure that comes very close to being perfect to me. I think a set of open hands and a little more mass and some minor tweeks on the body would make this THE figure to have. 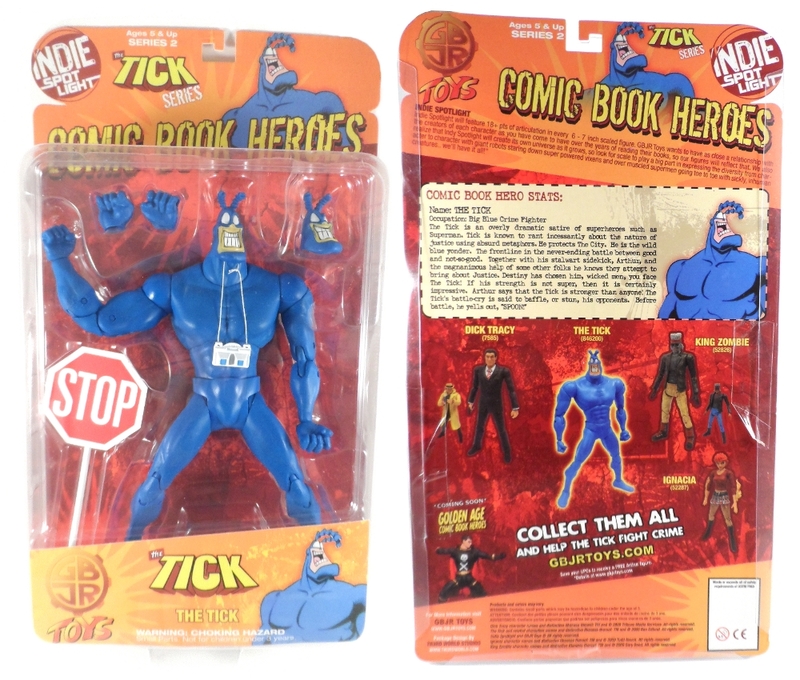 As it is, it’s still the most articulated Tick figure around and a definite must buy for Tick fans everywhere.